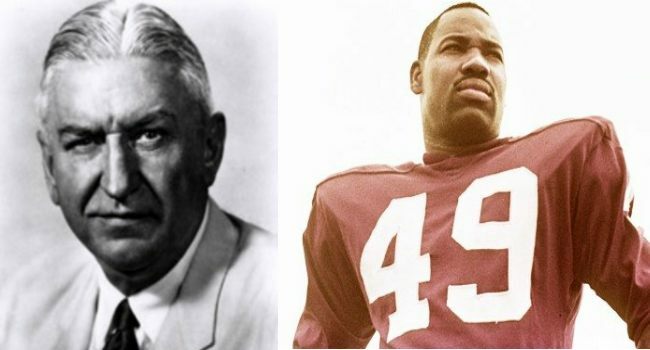 Today we travel all the way back to the very beginning of the Washington Redskins and profile two men who will be forever linked, in burgundy and gold folklore…George Preston Marshall & Bobby Mitchell. George Preston Marshall was one of the NFL’s biggest innovators, who ushered in several changes to the game as a whole. In 1932 he becomes the owner of the Boston Braves, the team would go on to change their name less than a year later to the Redskins, and five years later Marshall moved the team to Washington, DC. Sadly, Marshall is more known for the one change he wouldn’t commit to, racially integrating the team. That is where these two are forever linked. On draft day, Marshall traded the rights to Ernie Davis (who refused to play for him) to the Cleveland Browns in return for Robert Cornelius Mitchell (Bobby Mitchell) and first-round pick Leroy Jackson. 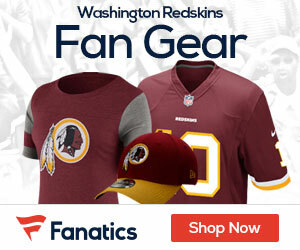 Mitchell would go on to spend 40 years as a part of the Washington Redskins organization, both as a player and in the front office. During his six seasons as a player, Mitchell never caught fewer than 58 passes. When he retired, his 14,078 combined net yards was the second highest total in NFL history. He had also scored 91 touchdowns (18 by rushing, 65 on receptions, three on punt returns, and five on kickoff returns). He amassed 7,954 yards on receptions and 2,735 yards on rushes. This past week, Mitchell turned 77. 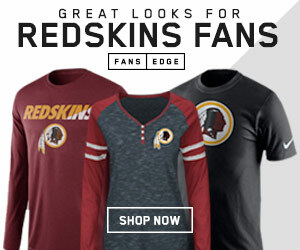 Post by Hail To The Redskins.